Zombies, Run! + Apple Watch – Zombies, Run! 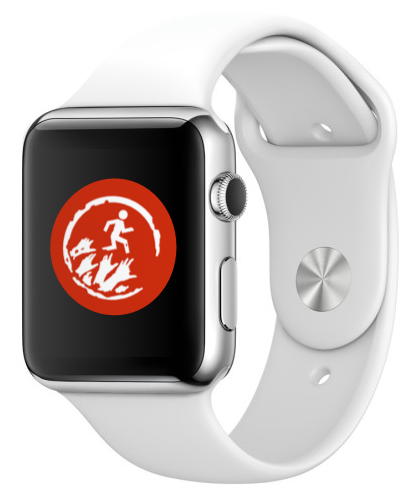 As soon the Apple Watch was revealed, we knew we’d be bringing Zombies, Run! to it. Zombies, Run! is about turning running into an exciting, epic adventure that motivates you to go further and faster than ever before. We think the Apple Watch can make Zombies, Run! more immersive and easier to play, and we’re keen to be there when it launches. We’re still learning about what developers can do with the Apple Watch, but we’re sure we’ll be able to provide more information and abilities than ever before. And of course we’re also investigating how we can integrate with Android Wear smartwatches in future editions of Zombies, Run! We’re great supporters of the Android ecosystem as well, and we’re proud that Zombies, Run! is already on Google Glass. Zombies, Run! plus wearable tech: it’s a no braaaainer. Watch this space for more information! Next Post New missions now available!